Maybe you’re on holiday, but you can still take take some steps towards your next writing project. There are five visible stepping stones in this picture. 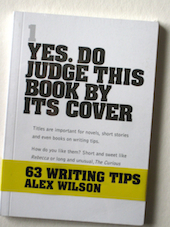 So try writing five story ideas based on something you noticed or thought about yesterday. This entry was posted in Writing Prompts and tagged Creative, flash fiction, novellas, prompts, short stories, workshops on August 22, 2017 by Editor. parrot, pirate, Christmas, silver, garage, confession, cravat, viaduct. Add the colour green and a smell of burning rubber. This entry was posted in Writing Prompts and tagged creative writing, flash fiction, prompts, short stories on December 13, 2016 by Editor. Prompt from Alex: Look out of your window. What can you see? Describe it. Now highlight the different senses you have included in the piece. Why not try writing it in 150 words. Or come to our flash fiction workshop on 8th December? More info on website. This entry was posted in Writing Prompts and tagged Creative, prompts, write on October 10, 2016 by Editor.